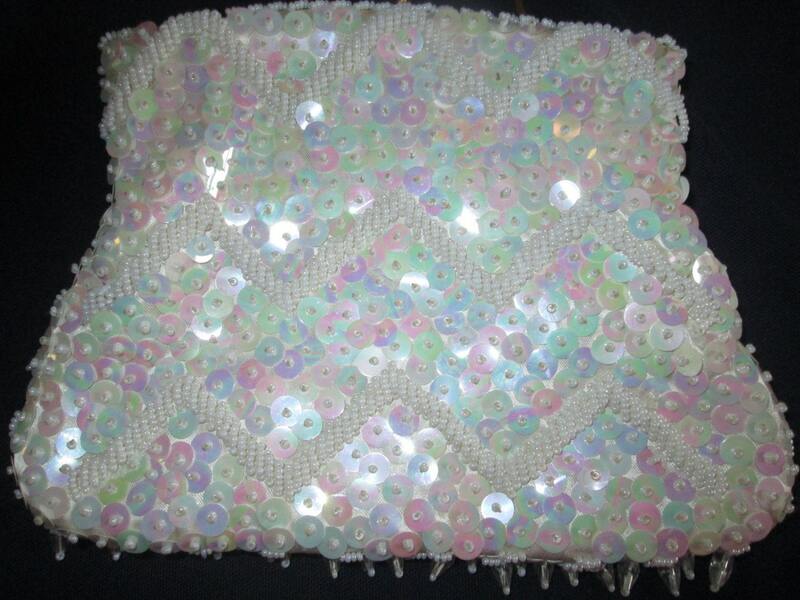 Gorgeous vintage white chandelier style Lucite Iridescent sequin beaded handbag. 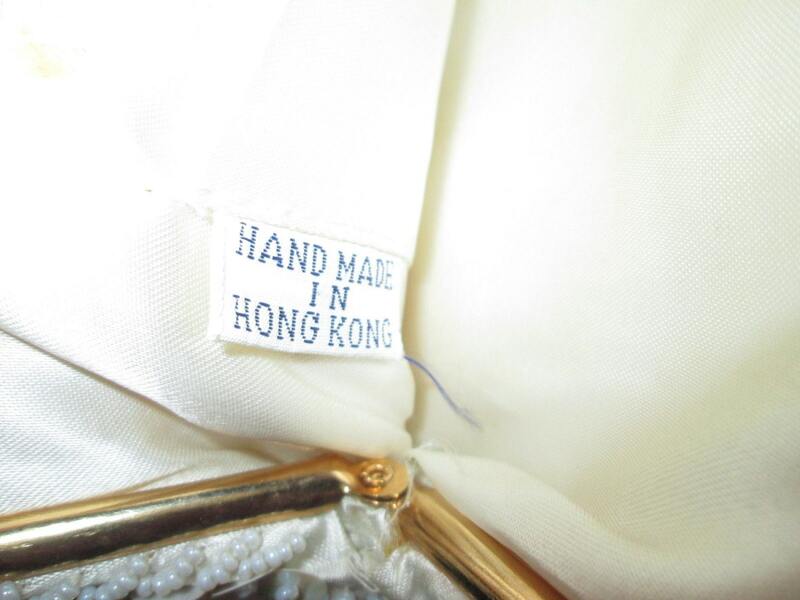 Hand made in Hong Kong. It is covered in iridescent white sequin and chandelier style clear Lucite beads, each held in place by hand sewn white seed bead. An exceptional handbag for a special event. The purse measures 6 inches x 7 inches and the gold tone hardware is snapped open & close with a kiss lock clasp. 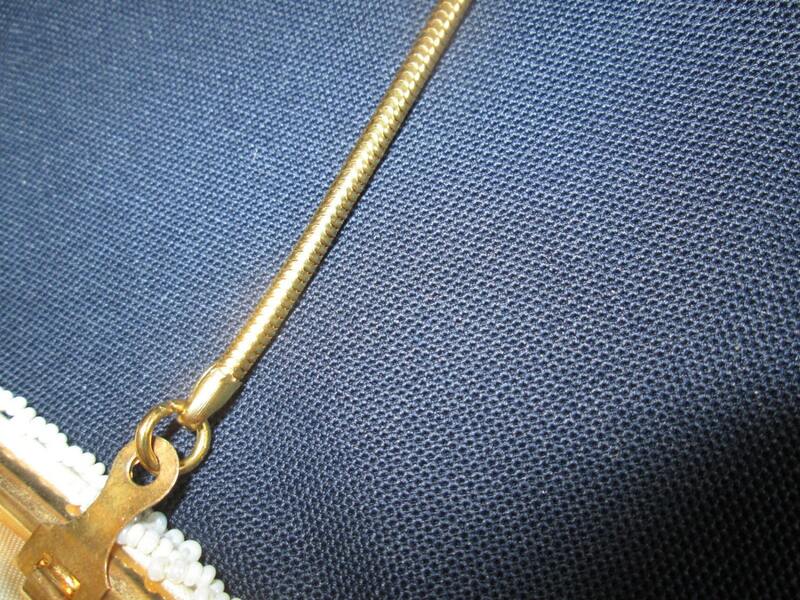 The gold tone snake chain handle is a 6 inch drop to the bag and may be placed inside the bag to use as a clutch purse. The inside white satin lining has one slip pocket. There are a few marks on the inside lining. But a beautiful handbag!